Finally we know. 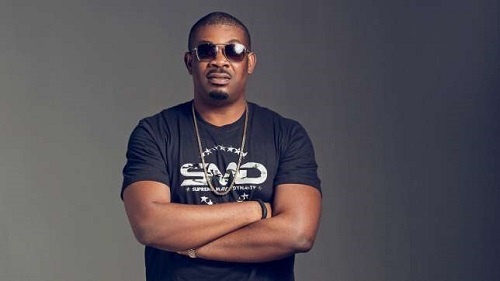 Don Jazzy is a fan of BamBam. Big Brother Naija housemates, BamBam and her romantic partner, Teddy A have been evicted from the reality show and Jazzy noticed. According to him, the evicted housemates are ready for bigger opportunities and their love story had a romantic ending. "Bam and Teddy will be very fine sha. win or no win. they are mad talented and ready for the industry. I know Teddy’s team is prepared sha." he tweeted. "As my bambam is out now. who do i like more now in the house? hmmm. "Ok teddy will follow bamboo now. awwww romantic ending." he added. When the votes were in on Sunday, BamBam had the least with 14.81% while her love interest, Teddy A followed with 16.81%. Cee-C came second place with a total of 24.38% while Nina had the highest votes with a total of 44.00%.